Both the procedure of the network analysis and the time-domain reflectometry are targeted at the verification and analysis of networks. While time-domain reflectometry, (TDR) or, more casually, cable radar, measures travelling times and reflection properties of signals, network analysis calculates all currents and voltages of the system based on known switching elements and source values. The multi-layeredness of the procedures is also reflected in their application range. Different usage options can be identified – from length measurement of cables in floors and building walls, to interference source location and conductivity measurements in bottlenecks or at failure of networks, quality control of electronic circuits in design and production, to moisture measurement of floors for industrial or agricultural operation. Ilmsens ensures efficient and cost-efficient use at precise and quick measuring methods for all applications with the m:explore and the integrated M-sequence technology. Using the pseudo noise sequence in the measuring procedure also ensures that inspection of cables, circuits and networks remains possible in regular operation. This property is an enormous advantage of using the m:explore, particularly for systems that can otherwise only be bridged or switched off for inspection and maintenance with great effort, risk and costs, such as alarm systems or flight monitoring systems. The m:explore generates all the information required on the impulse and frequency behaviour of a circuit in combination with the corresponding measuring bridges. This way, a single device can provide all parameters for analysis and quality control for production and design of an electronic circuit, minimising your work effort for the analysis procedure. The m:explore permits concurrent measurement of 250 and 2000 frequency lines, ensuring quick, precise and cost-efficient recording of measuring curves. 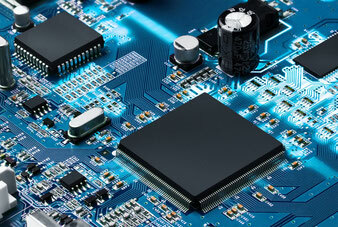 The quality of design of an electronic circuit or electronic system can be efficiently and safely evaluated. The measuring device by Ilmsens is used in production processes as well. The measuring curves for each material or product can be precisely reconciled with the specified targets and deviations can be displayed quickly and uncomplicatedly. The possibility created by this for early error recognition in production reduces the number of rejected goods as well as the costs for troubleshooting, and considerably increases quality safety of your systems and products.